Autism spectrum disorder (ASD) is a term used to describe a spectrum of developmental disorders characterised by difficulties in social interaction, communication as well as stereotyped patterns of behaviour. 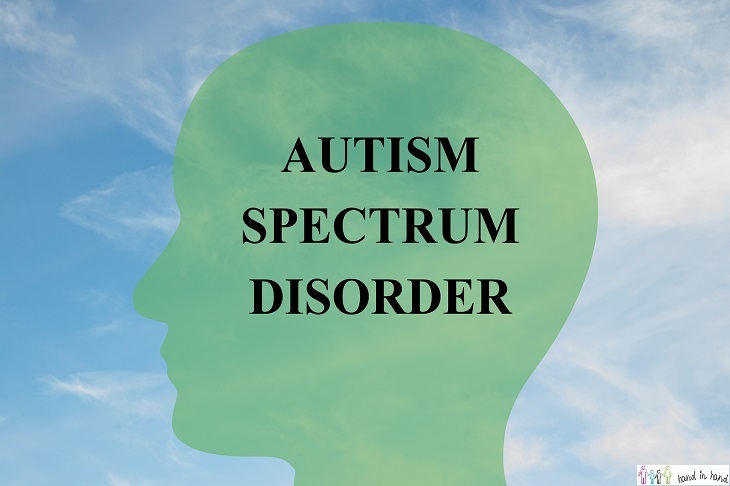 Prior to the term autism spectrum disorder there were a number of terms used to describe the condition such as pervasive developmental disorder not otherwise specified (PDD-NOS) and Asperger’s syndrome however these diagnoses are now all under the umbrella term of autism spectrum disorder. There are co-morbid conditions that may occur along side autism spectrum disorder such as attention deficit disorder (ADD), attention deficit hyperactive disorder (ADHD) and other neurodevelopmental or genetic conditions. Autism spectrum disorder is thought to affect 1 to 2.6% of the world population, has a high rate of heritability and is more common in males. It is thought that autism spectrum disorder is caused by a number of different factors, including genetic and neural based problems. Studies have shown that one third of people with autism spectrum disorder remain non-verbal and also have intellectual disability. Despite the abundance of research on autism spectrum disorder the exact causes are still unknown. Autism spectrum disorder usually begins before the age of 3 although it can be difficult to detect before this age. Some children might show some signs of problems during the first months of their life whilst others may not show symptoms until they are 2 years old. The condition lasts through the whole of a persons’ life although there are some cases in which symptoms gradually improve as they grow older. Onset of symptoms varies from child to child, but often emerge between the ages of 2 and 3. However, some children may show symptoms as early as 6 months old. Studies have shown that 80-90% of parents noticed problems in their childs’ development by the age of 2. A common feature of autism spectrum disorder is that children seem to have a typical development but then either fail to gain new skills or lose skills they had already developed. The earlier symptoms are detected the better as early intervention is one of the most effective forms of therapy for autism spectrum disorder, thus it is encouraged to check any symptoms as early as possible. The following can be symptoms of autism spectrum disorder that may emerge at any age, however it is important to keep in mind that not all children with autism spectrum disorder show these all of these symptoms. Some children who do not have autism spectrum disorder might also show some of these signs during their development. When diagnosing autism spectrum disorder it is important to look at both behaviour and development of the child. The first step in making a diagnosis is a developmental screening which involves checking whether children are developing age appropriate skills. This can be carried out during a check-up at the paediatrician. If there are any concerns regarding the child’s’ development, an evaluation by a paediatric neurologist or a child psychologist/psychiatrist needs to be carried out in order to confirm the diagnosis. The Center for Disease Control (CDC) recommends that all children are checked for autism spectrum disorder during paediatrician visits at age 18 and 24 months. The Autism Diagnostic Observation Schedule (ADOS) is a series of semi-structured tests looking at three different domains – communication, play both imaginative and with toys as well as social integration. Childhood Autism Rating Scale (CARS) is used for children over the age of 2 and consists of 5 items focusing on different skills and behaviours. Autism Diagnosis Interview (ADI-R) is used to diagnose autism spectrum disorder in both adults and children and can be used from age 18 months and above. Gilliam Autism Rating Scale (GARS) is most commonly used by teachers and can help assess the severity of autism spectrum disorder. Apart from these diagnostics tools there are also screening tools such as the MCHAT (Modified Checklist for Autism in Toddlers) or CSBS (Communication and Symbolic Behaviour Scales) which are very brief tools that are carried out by parents. These tools are not making an official diagnosis and should not be used to replace a full diagnostic tool carried out by registered professionals. Autism spectrum disorder cannot be treated by medication directly however there are a number of treatment options available. Some children might benefit from medication to help control energy levels as well as to help their focus and attention. Sensory integration therapy which helps with certain stimuli that might cause problems to children such as lights or loud sounds. What do Hand in Hand do when working with individuals with Autism Spectrum Disorder? At Hand in Hand we make use of the Applied Behaviour Analysis (ABA) approach when working with children. ABA is an evidence based therapy that is based on both positive and negative reinforcement in order to increase a desired behaviour or decrease behaviours that are not so desirable. Our services take the form of one to one sessions with an ABA therapist lasting for an hour. Once a child applies for services an initial assessment takes place where a number of developmental areas and skills are probed. The strengths and weaknesses are noted to as to ensure that once sessions start therapists will be working on what is most necessary. Regular reviews are carried out every 6 weeks with more senior staff so as to assess progress and see what needs to be changed or added on. We use the Discrete Trial Training (DTT) appraoch in which the child is given sessions that are learner directed and address the particular needs of each child. We also offer Think Social Groups which is a form of group ABA therapy where up to 8 children work with 2 therapists on more socially oriented learning. Groups focus on conversation skills, listening, sharing and how to react in different social settings among other things. What resources are available for information on Autism Spectrum Disorder? There are numerous online resources for parents of children with autism spectrum disorder. Websites such as Autism Speaks help outline a number of approaches to dealing with autism spectrum disorder in terms of therapy as well as parenting. Several scientific studies have been carried out to look into the causes of autism spectrum disorder and the best ways to treat it. In Malta the first step after being diagnosed is a referral to the Child Development Assessment Unit where professionals will assess children and guide parents as to the best course of action. 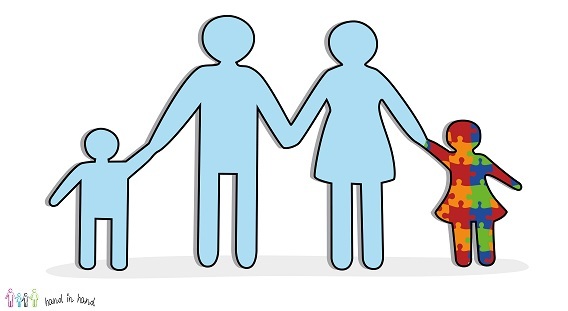 The Organisation for Autism Outreach (OAR) has published a number of guides for parents of children with autism spectrum disorder to help dealing with the different stages of diagnosis as well as helping children as they get older. Autism Speaks is an organisation that offers information about the condition as well as support for parents of children with autism spectrum disorder through their life when dealing with different aspects of development.